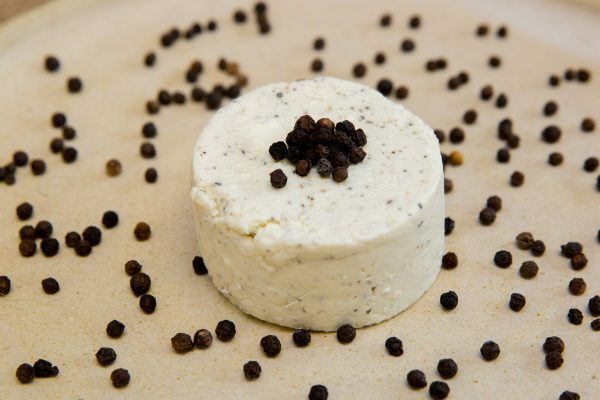 This peppery version of Sussex Slipcote is a fresh soft cheese made with organic sheep milk with black pepper added. It has a light, creamy, fluffy texture and a slightly sharp refreshing flavour that is complemented by the spice of peppercorns. 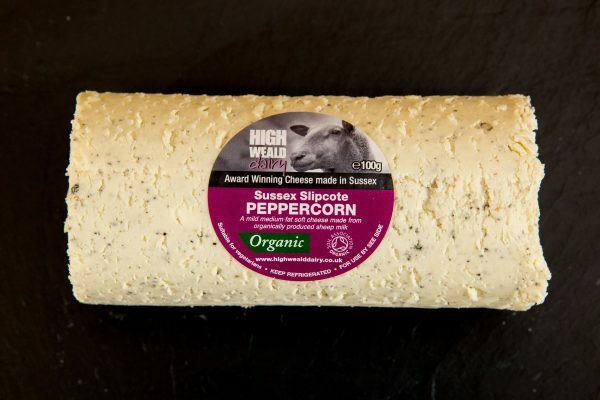 Packed in small 100g “buttons” or 500g “logs”, it is also available Plain or flavoured with Garlic & Herb or Dill. Typical values per 100g: Energy - 987 Kj/238 Kcal; Fat - 19g, of which saturates - 12.2g; Carbohydrates - 3g, of which sugars - 2.4g; Protein - 14g; Salt - 1.5g. Halloumi is a salty brined “squeaky” cheese, originally from the Mediterranean and traditionally made from sheep milk. Once dry fried or grilled it takes on a completely different texture - we call it “the vegetarians alternative to the rasher”. We make two varieties, this one which is made with 100% Sheep milk halloumi and a blended Halloumi using cow and sheep milk. Try it toasted on a summer salad or into a stir fry, addimg mushrooms, tomatoes, oregano, peppers and serving on a bed of rice, pasta or cous-cous. The smoked version of our hard cheddar-style cheese, Duddleswell, is matured for over five months before being traditionally smoked over oak shavings at the dairy. Duddleswell has a well-rounded, rich flavour; slightly sweet and nutty. The smoking process gives the cheese an added deliciously light smokiness. 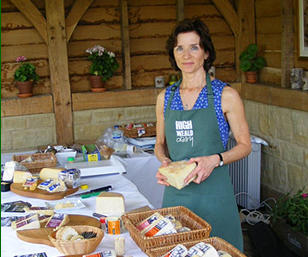 Both plain and smoked varieties are available as organic cheeses too. A delicious soft sheep milk cheese with a bloomy white coat. 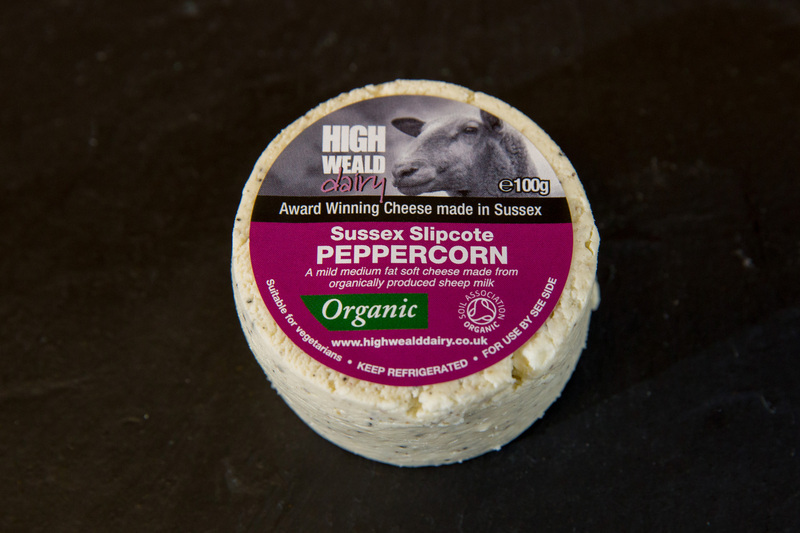 Little Sussex is actually a matured plain Sussex Slipcote cheese. It has a mild delicate flavour and a fluffy texture when young, but becomes stronger and more flavoursome as it ages. Serve with crusty bread, or grilled with a salad.